The sixties were a time of dramatic self expression and the discovery of hairspray. The combination of these two events led to one of the most amazing hairstyles out there, the beehive. Loved by housewives and R&B singers alike, this glorious hairstyle only had two enemies: gravity and doorways. 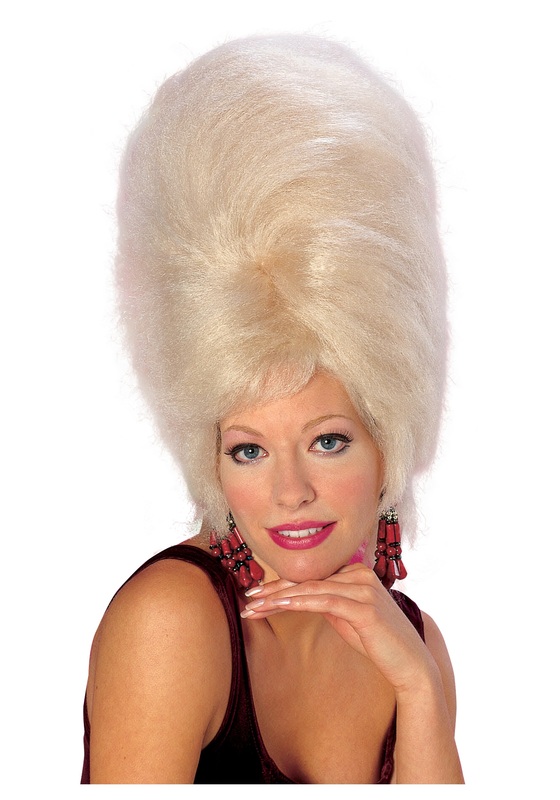 There are a few ways to obtain the fabulous blonde beehive that was so popular back in the 60's, some of which are easier than others. You could do it somewhat naturally by growing your hair out for a few years, bleaching it platinum blonde, and teasing your hair for days. When you are done teasing your hair into a gigantic rat's nest, get a trusted friend to pin your hair up and around the two feet of tangled mess you just created. Finish your masterpiece by shellacking the mound of hair with at least two bottles worth of Aqua net. Another option is to obtain an actual beehive, be sure to smoke all the residents out of their home, mount beehive on your head, and arrange hair over said beehive. Finish your look by varnishing hair with at least two bottles of Aqua Net. 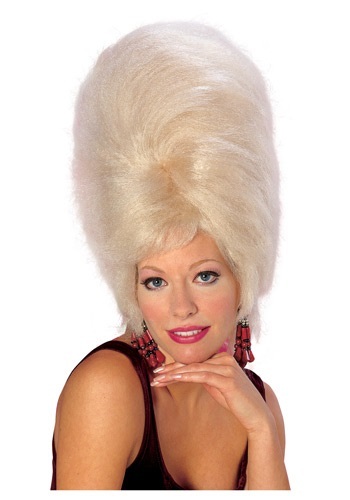 Or you could simply invest in our stunning beehive wig. Purchase of this wig will provide you with a glamorous look you can don again and again without single handedly keeping the hairspray industry afloat. Just remember to duck when you're getting into the car, walking through doorways, or standing under low ceiling fans.